Not only is the region home to Hanoi, Vietnam’s capital, it is also where you’ll find breathtaking bays, stunning rice terraces and unbeatable scenery. Northern Vietnam’s cultural attractions are just as diverse ranging from the chaotic highland markets to the hill-tribes in the far North. Narrowing down the many options to fit your itinerary can be tricky, but this tour Northern can help point you to the region’s top destinations. A different space compared to the bustling city, Sapa - where there are Fansipan Mountains range the highest mountain in Hoang Lien Son mountain range with a height of 3,143m. This is a beautiful nature museum, which contains a vegetation with many endemic species. 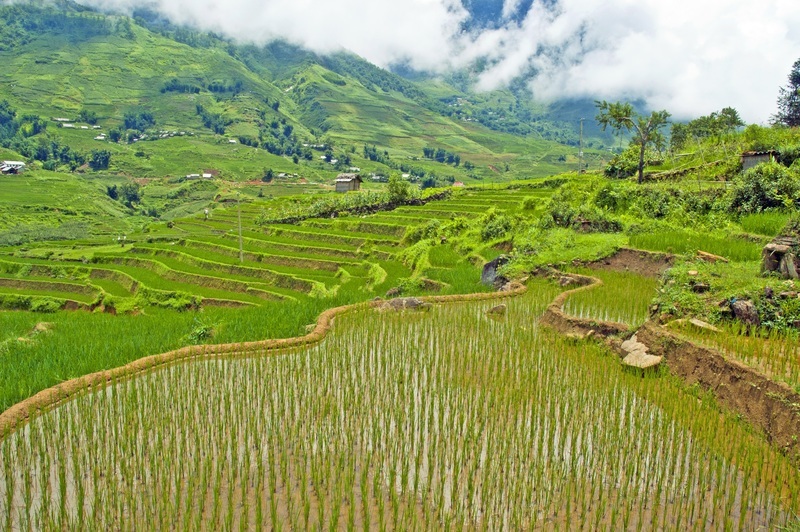 Sapa itself is home to the members of many hill tribes, including the Hmong, the Dao, the Muong and the Tay. The town also overlooks the magnificent Muong Hoa Valley and its terraced rice fields, which are staggering to behold. Another highlight of Sapa that most visitors to the tour Northern want to experience it is terraced fields. cross the terraced fields, zoom down to see you like standing on top of a beautiful dream. One of the most remote provinces in the country is Ha Giang. Close to the border with China, Ha Giang Province is known for its green forests and granite mountains. It is an incredible destination to explore ethnic diversity and to participate in outdoor activities like camping or hiking. 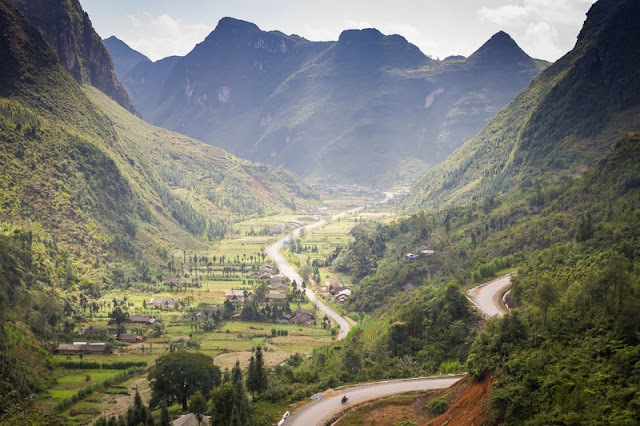 As such a scenic province, Ha Giang to home to hundreds of spectacular vantage points. However, few can compare to Ma Pi Leng Pass. Especially, in the early months of this new year, come to Ha Giang or Sapa you will admire the charm of cherry blossom. A gentle pink between the mountains of the north will attract you at first sight. 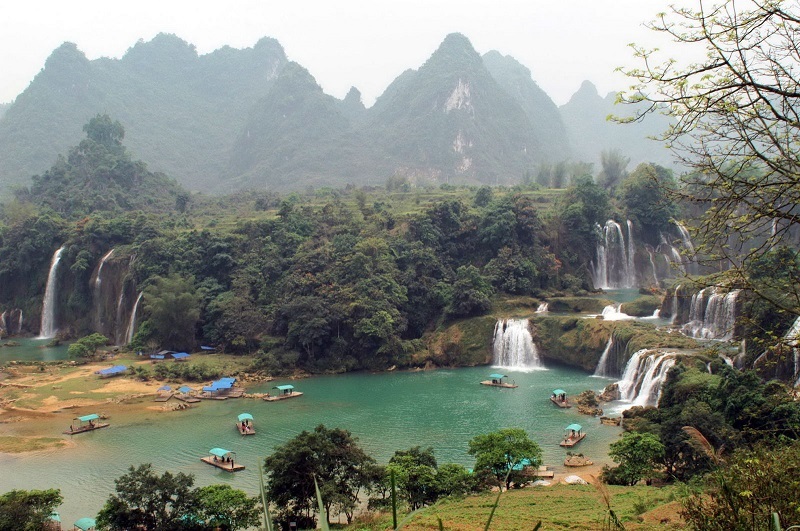 Continuing the beautiful impression that Sapa and Ha Giang left in the heart of visitors, Ban Gioc Waterfall - the most majestic waterfall will certainly make you excited. Located nears the Chinese-Vietnamese border. The waterfall falls thirty meters. It is separated into three falls by rocks and trees, and the thundering effect of the water hitting the cliffs can be heard kilometers away from Trung Khanh. Ban Gioc waterfall in this season bring the gentle beauty, gracious of the fairy. Cool water in the spring of Ban Gioc waterfall makes you want to drop yourself and blend into it. This waterfall is a favourite destination of tourists and is bound to be a major draw-crowd in the future.